A powerful office machine stands at the heart of just about any business. They are integral to just about everything that happens in your office. That means that you want something that isn’t going to let you down. When it comes to consistent quality and the best selection, we trust our partners at Xerox. Working with a Xerox brand copier gives you the confidence you want to feel when working with your office machine. They are the best around at innovating the office environment and making your life easier. Xerox has decades of experience changing the way that you work for the better. You will always be sure to find a user friendly interface that you are familiar with, alongside consistent quality that you can trust. They also offer a huge selection of office machines that can satisfy just about any need that you can imagine. Our partners at Xerox care about your business. In fact, they are some of the only people out there that believe in helping you thrive as much as we do. That’s why Xerox offers the Total Satisfaction Guarantee when it comes to their new copier leases. This ensures that they will replace, or repair any machine that you are unsatisfied with, within one year. 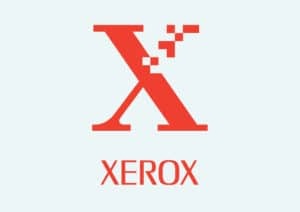 We believe in working with our partners at Xerox. Their products deliver consistently amazing results while having a team to help you with any problems. Come see us today to get an amazing new Xerox copier for your business.